Occasionally, outside of Pixar, an animated movie is made which treats its audience with respect and delivers a clever, partly mature but no less exciting story. 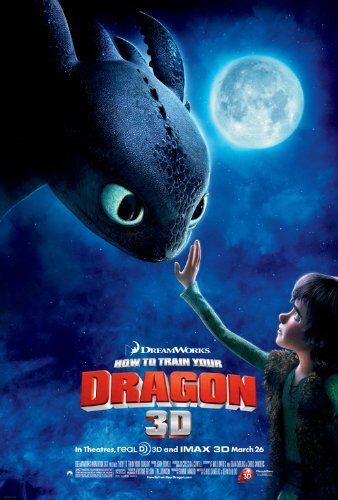 How to Train your Dragon is that movie, managing to deliver a tale that is equal parts heart and emotion as well as cool spectacle and thrilling moments involving dragons. It all starts with a voice-over narration from our hero Hiccup, voiced with perfect innocence, youth and sarcasm by Jay Baruchel. He explains that his viking community are famed for fighting and killing dragons of all different types and creative designs. His world becomes more complicated by the fact that he is poor at fighting dragons himself which is an embarrassment to his Father, who is chief of the settlement. This sets up a great dynamic between Hiccup and his Father, voiced with suitable authority by the gruff tones of Gerard Butler. Their conflict, centred on a father’s expectations for his son, feels real and has a deep emotional core which you wouldn’t find working so effectively in an animated movie. Scenes where the two try to bond feel suitably awkward when it is clear that a female influence in both their lives is so sorely needed. It is made more complicated when Hiccup befriends a dragon he accidentally injures. This is where the animated design comes into it’s own, with a fantastic creature in the central dragon Toothless, which just so happens to be one of the deadliest dragons the vikings face. This relationship is the strength of the movie and gives the film its emotional core. The way the two characters, who don’t understand each other’s world or even speak a common language, slowly bond and gain trust is a joy to watch and makes the escalating events which will ultimately bring this forbidden friendship to light, so much more dramatic. When the events do get very dramatic, the action is staged perfectly. There are smaller, insular pieces of action which demonstrates the strength and danger in each of the many different dragons but all of this leads to a great finale. The main “villain” of the movie, which is revealed late in the proceedings, is a worthy one of the film’s story and nicely ties up the many loose ends the well written plot has dangled. 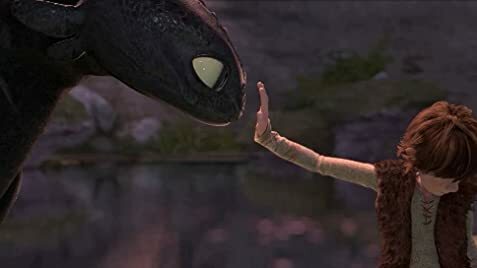 There is even a final moment gut-punch which shows that How to Train your Dragon is catering for all audiences rather than just the school-aged one. It makes this fantastical story, with dragons and vikings, feel very real and grounded in a way very few other animated movies are doing. Overall, How to Train your Dragon is a showcase in how to bring the fantastical elements aimed at children and mix them with a healthy dose of emotional drama. The characters are great, well-voiced and have a clear story but it is the dragons which suitably steal the show. With cool action and a thrilling finale, How to Train your Dragon is animation done right.